The airport in West Point is called Middle Peninsula Regional Airport and was built in the 1940′s. Skydiving started in West Point Virginia in 1962. It was first used to train military pilots for World War II. Today, the airport is used for general aviation, with all types of aircrafts using the facilities. West Point is one of the country’s oldest civilian skydiving locations. 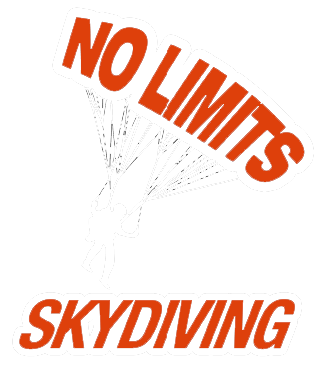 No Limits Skydiving™ is proud to continue that tradition with our second skydiving in West Point, Virginia. Our office is located right beside the airport. Upon take-off, you will see why West Point has been choice of skydivers in Virginia for over 50 years. The view here is simply amazing. Right off the runway you will see where the Mattaponi and Pamunkey Rivers join to form the Yorktown River. The Yorktown then runs into the Chesapeake Bay, which you can easily see during the plane ride and free fall. All of the water makes for an amazing view on the way down. The best view of these waters is when the sun is either rising or setting. The light strikes the water a certain way and makes beautiful reflections off of the water. In the morning, the sun reflects off of the Chesapeake Bay, and at sunset it reflects off of the Yorktown River. The winds predominantly come from the west, so the majority of the time, we jump from the plane right over the Yorktown River. On Saturdays, the river is usually full of boats. It’s always fun to imagine what the people on boats are thinking when they look up and see parachutes floating above them. We will land right back at Middle Peninsula Regional Airport where your friends and family can be there to watch you land and take pictures. After your Tandem Skydive stop into the town of West Point and grab something to eat. There are many great restaurants for lunch or dinner. Let them know that you just made your first skydive with us! West Point is a very charming town, located right on the 3 rivers. We encourage our guests to take a minute to look around the town. We hope to see you at either of our tandem skydiving locations in Virginia. See which location is closer to you, and make a reservation today.